It’s safe to say students don’t have the best opinion of the financial aid office at Georgia State. For years, complaints about the efficiency of the Office of Financial Aid have plagued the university. 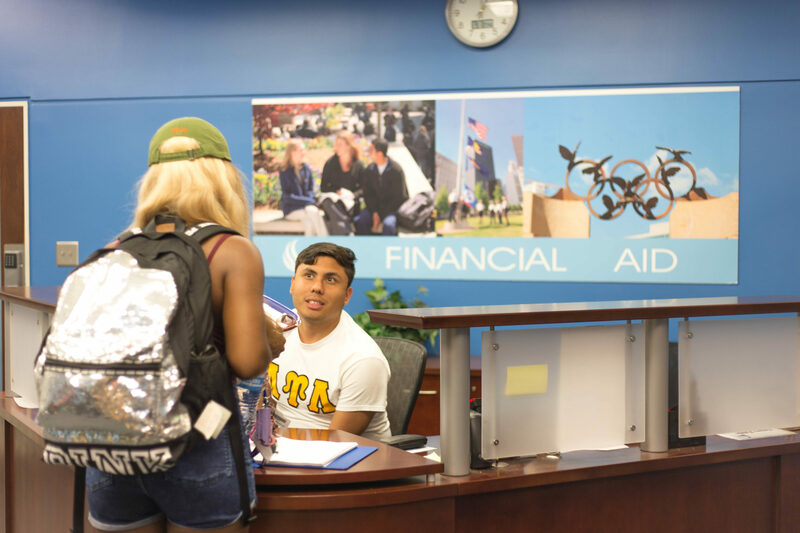 In a recent Facebook poll in the GSU Book Exchange group, The Signal asked students for their experiences with financial aid wait times in the days leading up to tuition deadlines. “Called, waited two hours, they answered, got disconnected. Called again, they answered, I panicked and told them to call me back if I got disconnected again. Went to give them my phone number. Got disconnected right before saying the final number,” recent graduate Lexi Perez Lane said. “When I was in school, I called as soon as they opened at 8 a.m. and I waited until 1 p.m. One of the worst experiences of my life,” graduate James Nehemiah Nunnally said. “Two hours, someone answered, pretended they were gonna help me, then put me back on hold and I gave up at that point,” Georgia Zdanowicz said. “Three hours and I legit called 10 minutes after they opened, so I went up there,” Enya Barnes said. James Blackburn, the associate vice president of student financial services, said that these wait times can be avoided if students simply work to solve their problems in advance. “We had more than 40,000 students apply for financial aid this fall, and the majority of students did not complete all of the steps by the priority deadline,” Blackburn said. According to Blackburn, the review and awarding of financial aid requests for new academic terms begin much earlier than most think. “Our focus this year is finding the best way to communicate and assist students with completing their financial aid requirements before the priority deadline. We believe success in this area will improve the overall student experience,” Blackburn said. He said that administrative resources are not an issue, and in fact there are several methods through which students can get help on their own without calling into the office. “The Office of Financial Aid does have adequate resources for the population of students. We leverage technology to automate many of the processes. We also offer several self-help tools to answer questions,” Blackburn said. He also said that Financial Aid TV, one of Georgia State’s in-house production teams, has created short videos that explain the financial aid process and provide other information on financial aid topics. According to Blackburn, Panther Answer is another helpful option. Students can explore frequently asked questions or submit their own question without waiting on the phone. “The student experience surrounding financial aid is very different before and after the priority deadline,” Blackburn said. For the period prior to the priority deadline, the Office of Financial Aid’s average response time for calls was eight minutes. After the priority deadline, the wait times averaged 30 minutes. In August, despite a 319 percent increase in call volume, the average wait time was only 24 minutes. However, these data, directly obtained from the Office of Financial Aid, contradict student experiences with the office. “Waited 2.5 hours in [the] office on a Thursday at 1 p.m…in the summer,” Facebook user Evy Vo said. “I called at 8:32 a.m…two minutes after opening and still had to wait 1+ hours,” Moonjun Chung, a student at Georgia State, said. It’s obvious that an hour-long wait far exceeds the average of 24 minutes. But to Blackburn, these student anecdotes don’t seem to be the fault of the Office of Financial Aid. “The key to students avoiding long waits for service and the stress of the drop is for them to take care of their business early when wait times are only a few minutes,” Blackburn said. Making sure that students are able to achieve their academic goals in spite of financial insecurities remains the number one priority for the office. “Many of our students are able to pursue their education and career goals because of the team of dedicated financial aid and student account professionals that assisted them with the process,” Blackburn said. Blackburn said that the financial aid process isn’t difficult, but it can be confusing for some students. Getting ahead of schedule remains students’ best bet to get a good experience during the semester. “Our strategy is to continue to help as many students access the financial aid needed to accomplish their goals,” Blackburn said. The constant barrage of negative student opinions continues to raise questions regarding the office’s effectiveness in administrative processes. Time will tell if the office will continue to see students’ lack of proactiveness as the cause or if it will look internally at its own operations for a solution.